The LA County Yarn Crawl is coming April 6-9. We will have raffle prizes, free patterns, gifts with purchase, trunk shows and yarn specials. If you would like to reserve a Yarn Crawl tote bag , be sure to put your name on the list! We only have 18 more available. 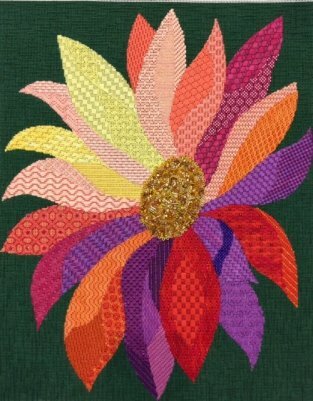 We still have room for you on our needlepoint retreat May 18-22. Meredith Willett has designed the stitches for this beautiful canvas. Silk, beads, metallic threads and several fun techniques will be explored during this relaxed retreat overlooking the Santa Barbara Coast. We will have three days of instruction and the fourth day of class will be a review and time for questions. We hope you will join us!